The remedial effects of saunas have made them a common feature in many gyms and sporting facilities. A mainstay of Scandinavian well-being culture, the health benefits of sauna are extensive and accessible. In this article, we take a detailed look at the specific benefits of using a sauna after exercise. Whilst those with an existing heart condition should always consult their health professional before embarking on any health and fitness regime, for the average healthy individual, saunas offer a wealth of health benefits and are an excellent recovery tool after exercise. Using a sauna is effectively immersive heat therapy. As such it is a powerful method to relax muscle contraction and inflammation following exercise. Workouts such as weight training and sports involving periods of sprinting, cause a particular level of muscular tightening. The whole-body heat therapy provided by using a sauna is an efficient way to relax muscles and loosen muscular contraction, which lessens muscle aches after strenuous exercise. The release of compounded tension and muscle tightening can, in turn, can help to avoid injury. By increasing blood flow, saunas enhance the availability of fresh blood cells throughout the body, providing the availability of oxygen to the muscles. Oxygen availability is a vital component in muscle function and particularly important in aiding muscular recovery. Despite the extensive health-giving benefits of exercise, the application of stressors to the body during a workout does cause the reactive release of oxidants. Free radicals are released by cellular mechanisms responding to impact and cardio-muscular stress – specifically reactive oxygen and nitrogen species (RONS). As a general rule, the more strenuous the exercise – and therefore the more muscle exertion required – the higher the level of free radicals. Although the benefits of regular exercise and fitness far outweigh this reactive free-radical production, the detoxification effect of sauna use makes it another beneficial incentive for sporty individuals. As saunas enhance circulation to the surface of the skin, this encourages the body’s natural detoxification process and oxidative by-products and toxins are released through the sweat. Aiding the body’s natural detoxification process further helps to counteract the oxidant by-products of strenuous exercise, enhancing the benefits and aiding overall recovery. Research has found that improving heart health is one of the benefits of sitting in a sauna. Researchers in Finland have found that they help the heart, and mimic the circulatory benefits of exercise. The immersive heat raises the heart rate, causing blood circulation to be boosted throughout the body. Researchers in Japan have further discovered that saunas may improve the health of cells within the heart arteries, specifically by boosting the strength of cells that form the artery lining. Alongside the well-documented heart benefits provided by exercise, a sauna further enhances cardiovascular health. Cardiovascular exercise opens the lungs and can enhance lung volume due to the additional requirements for oxygen during physical exertion. 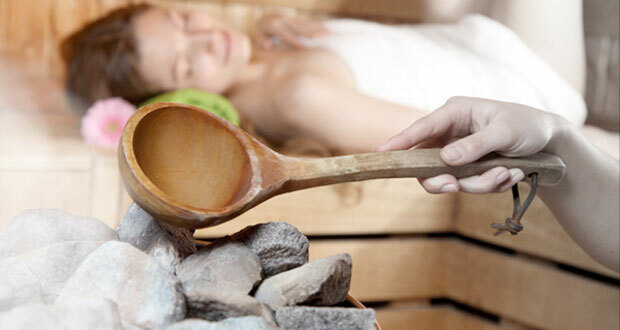 The dry heat and vapors supplied by a sauna effectively help further open and cleanse the lungs, loosening mucus and toxins from the sinuses, throat, and lungs. On a cellular level, enhancing the lungs function and capacity allows for greater breathing efficiency and thus heightened availability of oxygen. This is a vital component of exercise recovery. Just as sports and exercise promote mental as well as physical health and wellbeing, saunas similarly benefit the mind alongside the extensive physical benefits offered. In one of their earliest forms, sweat lodges were traditionally used by Native Americans for meditation. Numerous clinical research studies conducted over the past decade noted a significant improvement in subjects mental state following sauna use – most an markedly improvement in positivity, mental clarity, and relaxation. As a strenuous workout or important competitive match can raise levels of the fight-or-flight hormone adrenaline and the stress hormone adrenaline, a sauna is a particularly beneficial method for athletes to decompress and relax.